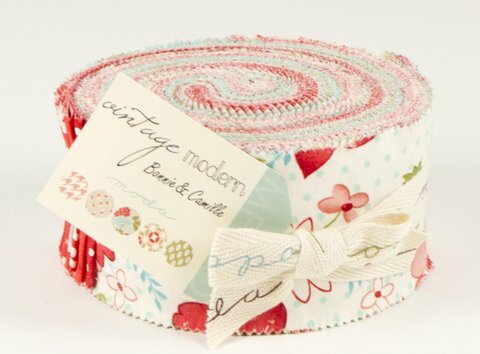 In store Tuesday, the new pre-cut collection from Bonnie and Camille for Moda fabrics – Vintage Modern. will you have them in a fat 1/4 bundle? Very pretty. 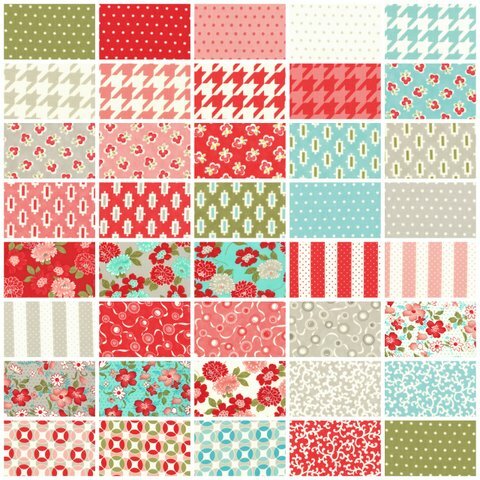 I am getting more and more interested in using red since I finished my log cabin blocks.